Serving Marlboro, Rumson, Colt’s Neck, Holmdel, and all of Central NJ. New Jersey is wine country! With over 40 established wineries in the Garden State, wine lovers have no shortage of quality vineyards to enjoy. Instead of making the drive yourself, or becoming a designated driver for your group, hire Luxe Limo Service. We have been helping wine lovers since 1998 discover New Jersey and Long Island’s incredible vineyards. From southern New Jersey to the outer coastal plain to Long Island vineyards, our limo wine tasting tours take you to the finest wineries the east coast has to offer. We know all the fine wine routes! As some of the most charming and accommodating people in the world, our New Jersey and Long Island winemakers want to make sure you taste the wines that you love most. And a few you haven’t. That’s the fun of a wine tasting day with friends. Enjoy the company of your good friends, taste extraordinary wines, and leave the driving to us. That’s how New Jersey wine tours are best experienced! Our wine tasting tours have a 3-hour minimum during the week. On Saturdays, it’s a 5-hour minimum. Each tour gives you plenty of time to enjoy each other, vineyards, and award winning wines. 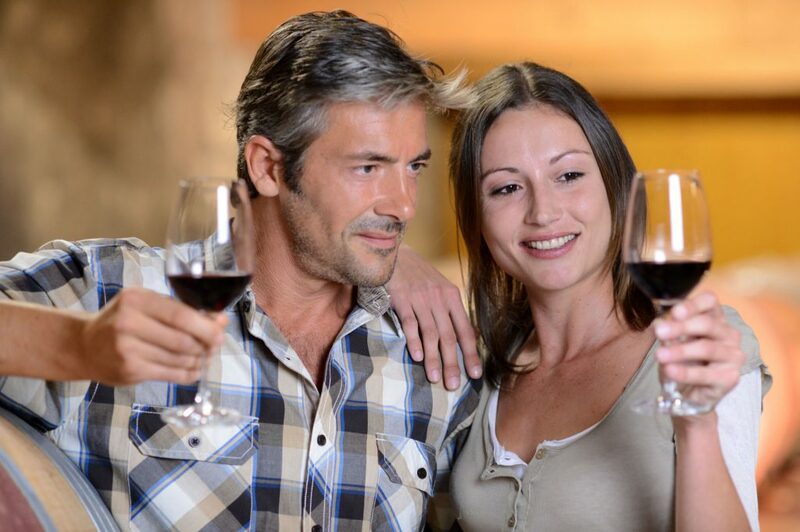 With our renown customer service, Luxe Limo Service offers a NJ limo wine tour like no other. That’s because each tour is customized for your party. You can choose to spend your time leisurely enjoying the various wines and talking with winemakers—a classic way to spend the day! You can arrange your wine tour so that you listen to scheduled talks given by winemakers. You’ll hear how each vineyard produces their own exceptional wines. Or, you can create a day that provides a bit of both. Just tell us what vineyards you want to tour and we’ll make all the arrangements. Whatever you choose, it’s our passion to see that your winery tour is hassle-free, fun, and completely enjoyable. Wine tasting is all about pleasure, good taste, and sophistication. And your ride should reflect the same! That’s the very reason Luxe Limo Service is the perfect wine car service for you and your group. Vehicles are always super comfortable, in top running condition, and pristine clean. That’s because safety is our #1 priority. For you and for the employees of our company, we believe safety and service to be of the utmost importance. Our vehicles are all late model, rigorously maintained and showroom clean. And our drivers are always exceedingly polite. You’ll never have a minute’s concern with Luxe Limo Service. When you schedule with us, our friendly staff will recommend the vehicle that’s most appropriate for your group size. You’re guaranteed to ride in superb comfort and style! The Mercedes Sprinter Vans hold 11. Our shuttle buses can comfortably transport 37 passengers. Our coach buses, which hold 56, are for larger groups. Whatever you choose, you and your friends can relax and enjoy your day at the vineyards! Call today for first class limo service.